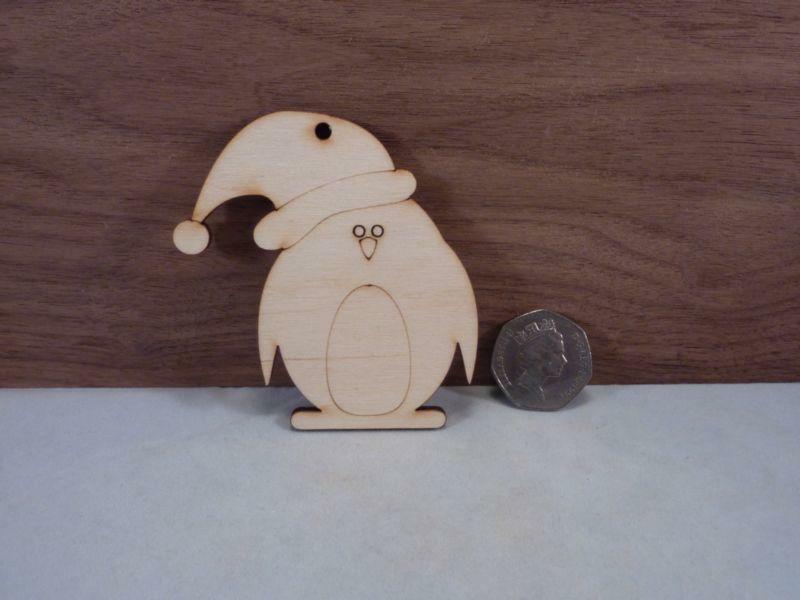 Wooden Christmas penguin shapes with etched detail and wearing a Santa hat. 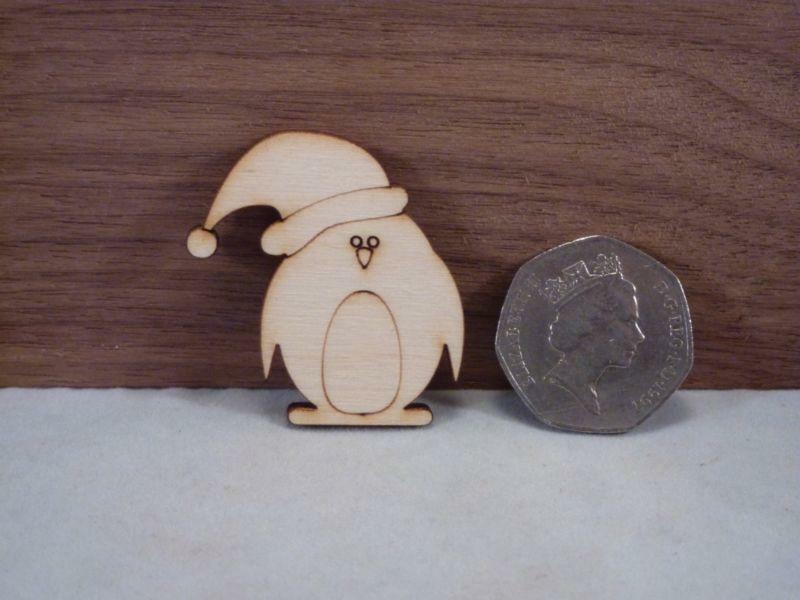 Laser cut here in the UK from quality 4mm birch plywood. 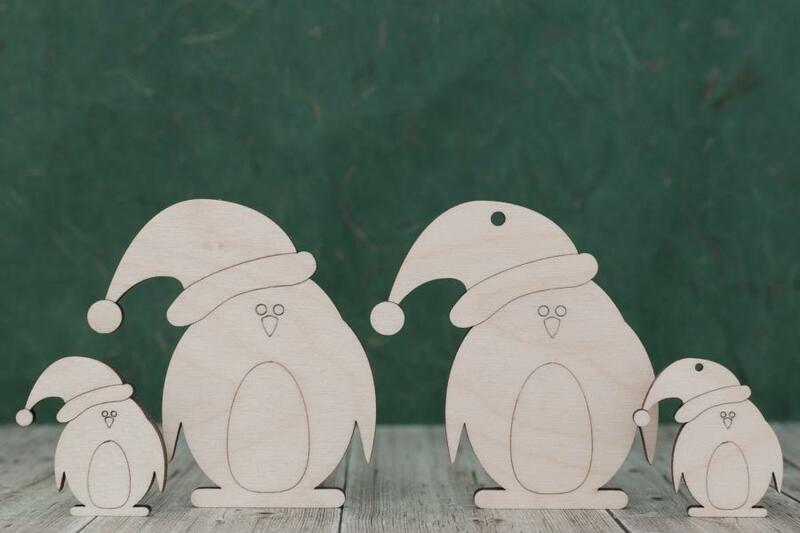 These wooden Christmas penguin craft shapes make great gift tags and decoration.